That is amazing! It looks so real, I want to touch it. 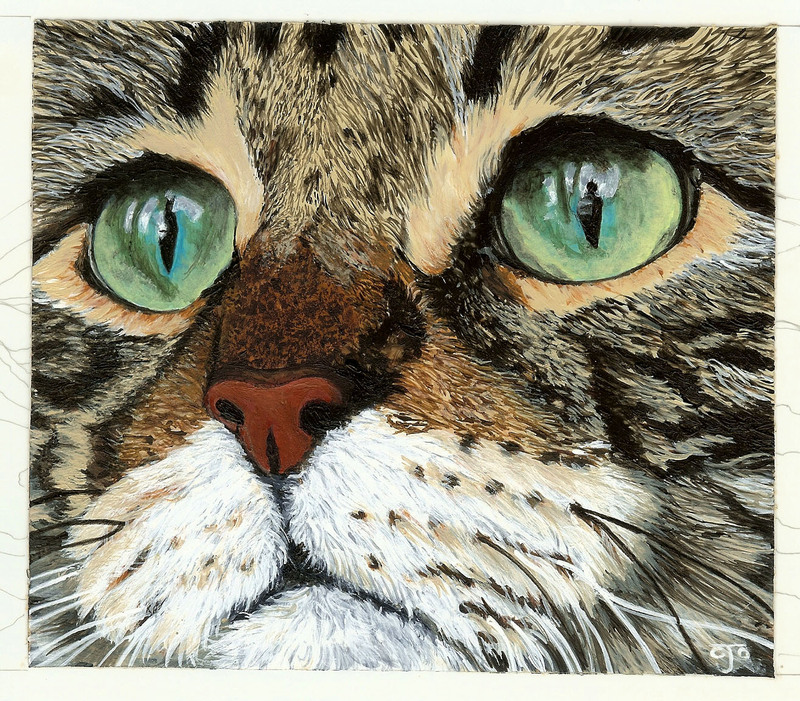 Holy hannah, that is one purrrfect little face that you have captured in acrylics. I too find them frustratinf to paint with because of the quick dry time but love the intensity of color for certain pieces. You are one talented gal! Enjoyed visiting your site.